You are currently browsing the tag archive for the ‘mission’ tag. This Friday September 15th is the final day of the astounding Cassini mission. The robotic space probe just took a final picture of Titan (which was arguably the site of the mission’s most breathtaking discoveries) and now the little spacecraft turns towards Saturn’s north pole and the grand finale…a plunge into the crushing atmosphere of the gas giant planet. A joint effort between NASA and the Italian space agency, Cassini launched in 1997 (the year I came to New York) and for 20 years it has sailed the solar system. In 2004, the craft reached Saturn and it has been discovering moons, taking pictures, and otherwise exploring the system ever since. Cassini even launched a lander to the surface of Titan, a super moon with a thick atmosphere and methane oceans. All good things must end though, and Cassini is out of fuel. Mission scientists did not wish to leave the craft orbiting for thousands of years and they also hoped to get a last trove of data (and jolt of publicity) from the mission…so the controllers opted to fly Cassini straight into the planet to learn whatever they can before the minivan sized probe blows apart and/or is crushed. Sadly there is no camera to record this melodramatic demise (which the denizens of Earth will want to see) so I have created my own rendition of the craft’s final descent using the magic of art (image at top). 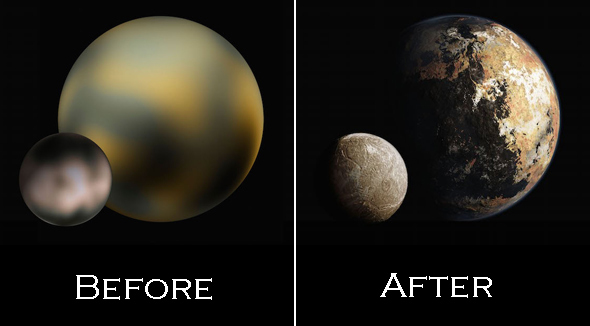 Since Saturn does not have an oxidizing atmosphere (probably?) and Cassini does not talk (probably?) I took a few artistic liberties, however I think I got the great hexagonal storm on the gas giant pretty well and I also captured some of the endearing personality of an astonishing robot explorer which will be dearly missed. There are more pictures coming in from NASA’s Juno mission to Jupiter and they are amazing. The plucky space probe has entered an orbital pattern which causes it to swoop from one pole of the gas giant to the other in 2 short hours (that may not sound like a short period…but Jupiter is enormous). As it passes close to the gas giant, Juno has been able to photograph and record hitherto unknown features of the fifth planet from the sun—such as a magnetic field twice as powerful as predicted and intricate and heterogeneous ammonia weather systems. Perhaps the most stunning aspect of this new trove of data comes from Jupiter’s previously unexplored poles which are filled with intricate webs of cyclones—each up to 1400 kilometers in diameter. You can see them here on astonishing photos. Scientists are eager to learn more about the storms—and what lies beneath them. The coming months will feature even more beautiful images from the solar system’s grandest planet—and maybe we will get some answers too concerning what is under the clouds and what powers these colossal storms on our breathtaking neighbor. M-type asteroids are high albedo (i.e shiny) asteroids made partially or mostly of metal. Of all of M-type asteroids currently known in the solar system, 16 Psyche is the most massive. It is a hunk of iron and nickel (and other heavy metals?) which has a diameter of 250 kilometers. Psyche orbits the sun between Mars and Jupiter and is believed to be the exposed core of a planet approximately the size of Mars which was obliterated by a catastrophic impact. The asteroid is named after the intrepid mortal who found love and ultimately apotheosis in an “Eyes Wide Shut” type Greek myth of great suspense, horror, and beauty. 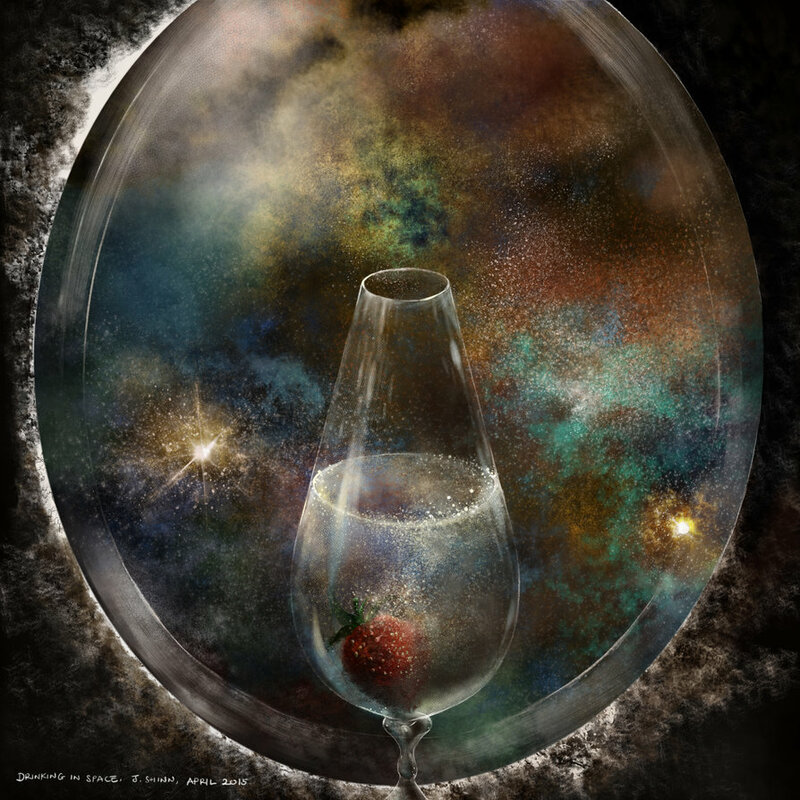 Are you curious to know more about 16 Psyche based on this description? I certainly hope you are, because NASA has just announced future missions for the 2020s and 16 Psyche is on the list. As currently conceived, the Psyche exploration mission will send a robot probe powered by solar electric propulsion out to the obliterated core to examine the planetoid. The probe will be equipped with a magnetometer and a gamma-ray spectrometer to find out more about the composition and history of the enigmatic relic. Of course other long term aspects of the mission are of interest as well. Although we have not yet mastered nuclear fusion, safe comprehensive control of such boundless energy is probably only 20 years or so away [winky icon]. What if humankind had sophisticated manufacturing robots and near infinite energy? In such circumstances 8 million cubic kilometers of steel might come in very handy indeed. So far the good news keeps rolling in for 2017. This Psyche mission can’t happen fast enough for my taste. As we proceed further into the Halloween season, a long dormant specter has unexpectedly emerged from the past to claim another victim. 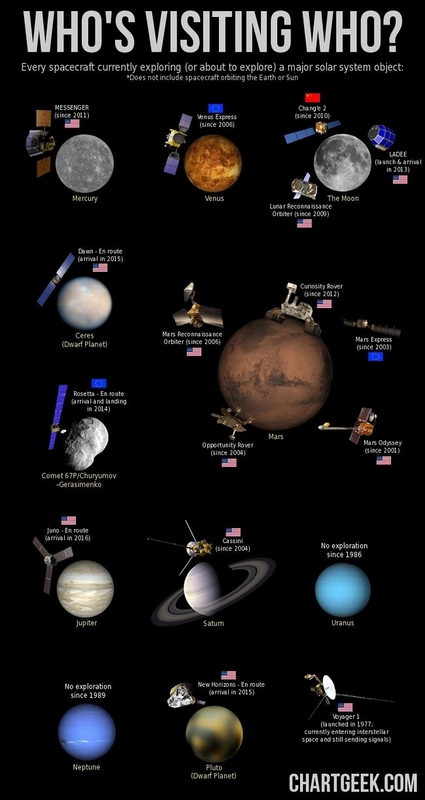 In the early era of space exploration a shockingly high number of Mars missions were complete failures. This led space agencies to talk about the “Galactic Ghoul” a malevolent (and wholly imaginary!) entity which devours Mars probes. Well, actually the phrase “Galactic Ghoul” was coined in the nineties…before that, this high failure rate was attributed to “the Curse of Mars” which isn’t quite as vivid a personification of failure but which still effectively evokes a malevolent supernatural thing out in the darkness between worlds. 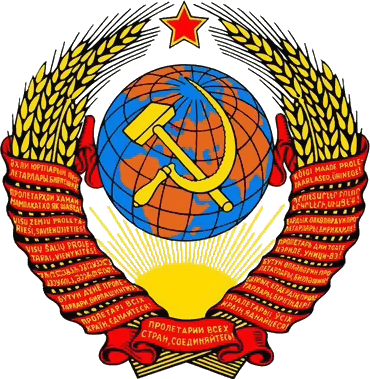 The ghoul (or curse) was particularly hard on Soviet craft and a shockingly large number of Soviet missions just vanished into the void for no reason as detailed in this dramatic chart (which is worth looking at for all sorts of reasons). The curse even manifested in the late nineties when NASA screwed up the distinction between matric and non-metric units of measurement and fired the Mars Climate Orbiter straight into the Martian atmosphere where it disintegrated (although that seems like it could be chalked up to a different old nemesis: being bad at math). At any rate, the ghoul has been quiescent for a while as NASA learned to operate on the red planet (and triple check their numbers). Today though brings more grim news from the Red Planet. The ESA and the Russian space agency collaborated on ExoMars a joint mission in which the two teams sent an orbiter and a lander to Mars together. The Trace Gas Orbiter is the real scientific component of the mission. It will assay Mars for methane sources (we would like to know where the atmospheric methane of Mars comes from since it should be scrubbed from the thin Martian atmosphere faster than it can build up). The lander was named for Giovanni Schiaparelli, the 19th-century Italian astronomer who popularized the idea of Martian canals (a concept long since disproven but bearing elements of truth). Schiaparelli’s only scientific payload was a small weather station that would have run for a few days before running out of batteries. It was really a lander designed to test out Martian landing capabilities, however, as of press time, the lander had proceeded into the Martian gravity well and then went ominously and completely silent. Is the galactic ghoul now sated or will it need to feed on the next charismatic lander headed to the red planet? Elon Musk may want to do some animal sacrifice and appeasement dances before he launches his colony ship! This thing, which looks like a sad cross between an ur-robot and a space probe, is Venera 3, a uh cross between an ur-robot and a space probe (Occam’s razor sometimes works for identifying weird historical objects). Although the probe did fail…in a way… it was hardly a sad object but rather a glorious milestone for humankind. Here is the story. The Soviet Union launched Venera 3 from Baikonur Cosmodrome in Kazakhstan in November of 1965 (as “Days of Our Lives” first went on the air, crisis threatened British Rhodesia, and Björk was born). The probe was designed to fly to Venus and deploy a probe into the (then unknown) atmosphere of that world and ultimately land/crash (?) upon the surface. 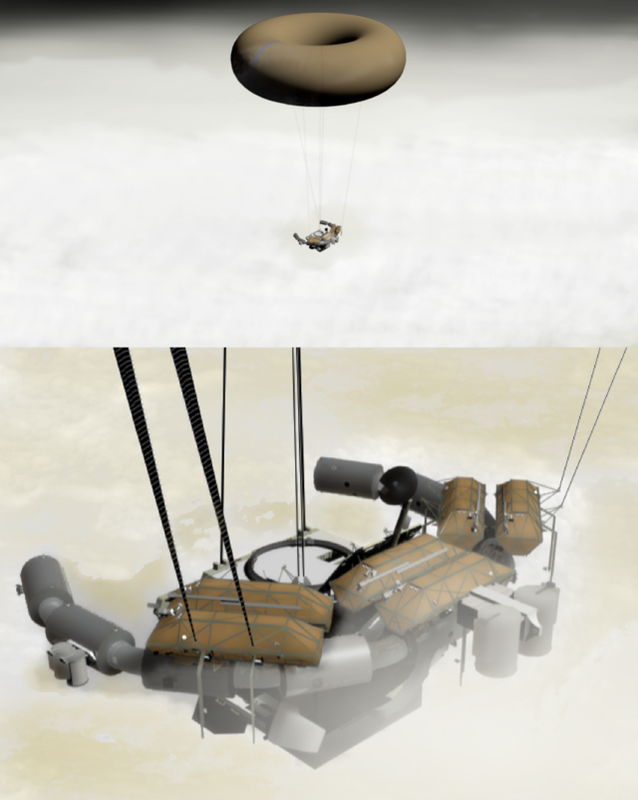 Venera 3 traveled on its interplanetary journey by means of a Tyazheliy Sputnik (65-092B) craft. 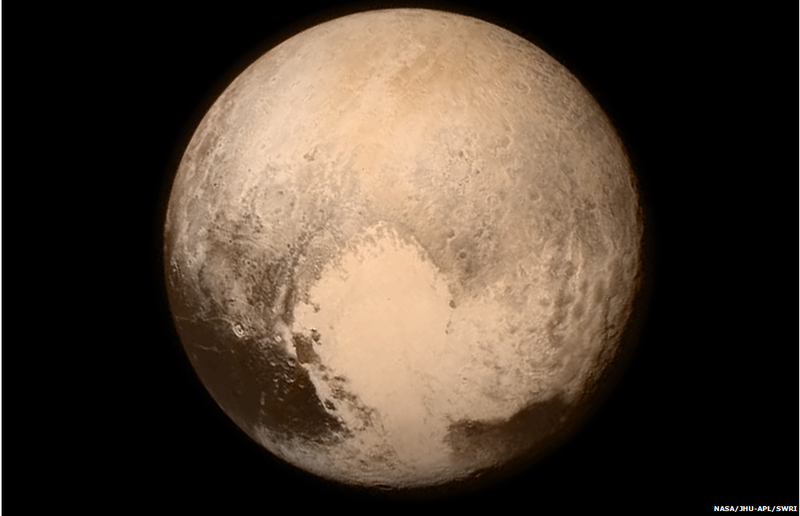 It took the vehicle 5 months to hurtle through space to our nearest planetary neighbor. I said that the probe was a sort of ur-robot, but that is actually being pretty generous. 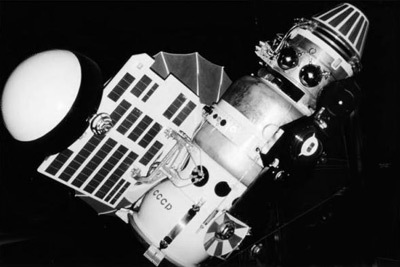 The planetary lander contained a radio communication system, some scientific instruments and power sources, and a bitchin’ medallion with the U.S.S.R. coat of arms. Venera 3 has the distinction of being the first manmade object to reach a different planet. That sort of thing is familiar now (though less than it should be), but I invite you to really think about how utterly astonishing it is. Unfortunately Venera 3’s landing was more or less indistinguishable from crashing: the communications systems failed before any planetary data could be returned (probably upon first contact with Venus’ nightmare caustic atmosphere and scalding temperatures). 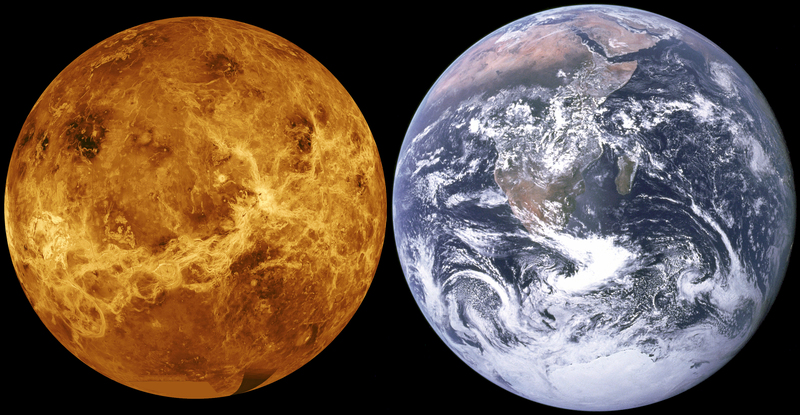 We only know that Venera 3 is now a heap of melted metal and slag on the surface of Venus because it fell into the planet’s gravity well. Where else could it be? Regular readers know my fascination with our sister planet. 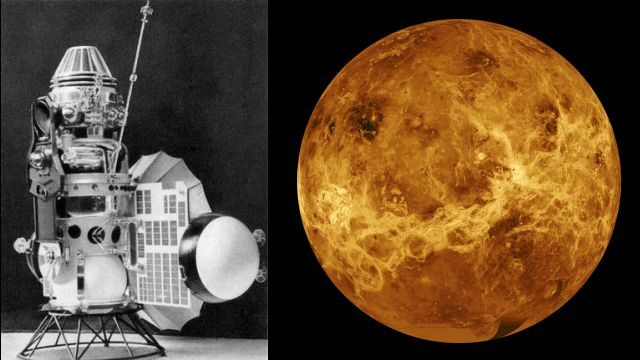 I found the story of Venera 3 on the online Venus scorecard…it appeared after a great many more pathetic stories (Venera 1 and Venera 2 for example are still out there slowly orbiting the Sun—and the Soviet program only named missions after they had attained a degree of success). Ferrebeekeeper is going to be back looking at this scorecard. There are other stories worth telling in there with all the dismal explosions, telemetry failures, miscues, and melted probes. The successes—even painful successes like Venera 3 also reveal the story of Venus (insomuch as we know its story—for the world is still an immense mystery). There need to be a lot more home runs at the bottom of that scorecard.